Aurora Theatre Hong Kong is an independent theatre company that aims to promote English-language shows in the local Hong Kong art scene. Founded by theatre performer and producer Nicole Garbellini in 2010, the company has been very active since then, and has brought shows like Glengarry Glen Ross (2011), Coffee and Cigarettes (2011), Talking With (2012), Champagne and Cigarettes (2012), The Last Days of Judas Iscariot, Duetto and Bittergirl (2013). Aurora Theatre aims to attract different people, both familiar and unfamiliar with the local English theatre scene, and introduce them to the various shows presented by us in order to create a solid, valid, creative and professional art scene in Hong Kong. 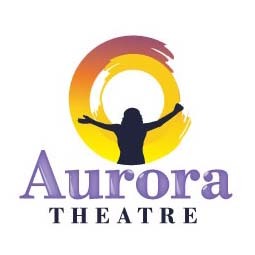 Aurora Theatre aims to give opportunities to those individuals who are passionate about theatre, helping them to stimulate and nurture ideas and creativity as far as performing and directing are concerned. Aurora Theatre welcomes every background, ethnicity and dialect. As we usually say, the more the variety, the better! Aurora Theatre has used its shows as fundraising in order to support the victims of the Japanese and Italian earthquake (in 2011 and 2012), as well as Cambodian orphans through Angel For Orphans. Through our generous supporters, Aurora Theatre has been able to raise a significant amount of funds and support the needy throughout Asia. Aurora Theatre constantly looks for fundraising associations to support.